4.National Economy. Our Role in International Division of Labor. 2. New model of public private partnership: “Strong business – strong state”. 7. What Kazakhstan do I see in future? It has been more than 20 years since we started to proudly celebrate this great holiday. As we began our journey as a nation things were vastly different. Now thanks to our joint efforts we have transformed our country into a wholly different place. Today we are a successful state with our own characteristics, perspectives and identity. We have paid a great price to achieve these milestones. For over 20 years our country has worked to strengthen its sovereignty and political influence - a goal which we have accomplished. The formation of our nation has been successfully completed. By 2050 we want to have created a society based on a strong state, a developed economy with universal labor opportunities. A strong state is especially important to ensure accelerated economic growth. This is not about survival, it is about planning, long-term development and economic growth. Today, on the eve of our Independence Day, I present to you my vision of our nation’s development prospects. This is a new political course. That was fifteen years ago when the post-Soviet chaos has not been overcome, there was an economic crisis in South East Asia and Kazakhstan faced a difficult period too. As we faced these challenges and others our strategy served as a beacon to guide our way forward and keep us focused on our target. Yet, as the saying goes, “the eyes may be frightened, but the hands are working”. We set ourselves an enormous task – to reverse the downward trend Kazakhstan faced and continue on the road to developing a new country. To reach this aim we had to work to improve three areas: build a modern nation state by making the leap towards a market economy, lay the foundation of a social system and, finally, transform people’s thinking and outlook. We had to define our own path. This path was outlined in the “Kazakhstan 2030 Strategy’’. This strategy helped define our strategic goals and targets and provided a crucial breakthrough in our world outlook. Only with the objective in mind can we set targets that will lead us to success. Today I’m honored to announce that we made the right decisions all those years ago. Our resilience through the 2008-2009 global financial crisis has proved that. Kazakhstan has withstood. The crisis has not destroyed our achievements, but has made us stronger. Our key achievement is that we have established an independent Kazakhstan. We have legally formalized our borders. We have put together our nation’s integrated economic space. We have recreated and reinforced economic ties that bind our country. Our domestic regions are united in their activities. 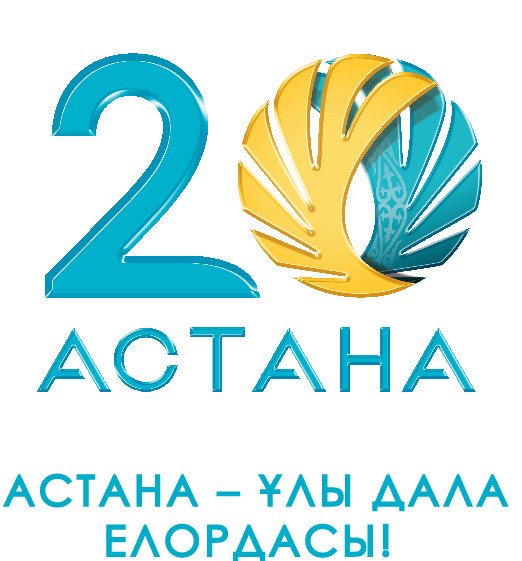 We have built a new capital – Astana. It is a modern city that has turned into a symbol of our country that we take pride in. We have unleashed the potential of the capital to showcase our country’s capabilities to the entire world. This is exactly why the international community elected Kazakhstan to host the EXPO 2017 international exhibition. This would be impossible without Astana. Very few cities have received such an honor. It’s enough to say that our country turned out to be the first post-soviet nation to chair the Organization for Security and Cooperation in Europe, host the Summit of the Organization, and the EXPO 2017 – a world-scale event. We have a clear formula to follow: “Economy first, then politics”. Every step of our political reforms is closely tied to our level of economic development. The only way to modernize our country and make it competitive is to progressively follow the path of political liberalization. Step-by-step our society is approaching the highest standards of democratization and human rights. We have secured fundamental rights and liberties in our country’s Constitution. Our citizens have equal rights and opportunities. We have worked to restore our historic Kazakh culture and language after many years of decline. Besides our ethnic, cultural and religious diversity, we have maintained peace and stability in our country. Kazakhstan is home to over 140 ethnic and 17 religious groups. Civil peace and interethnic harmony remains a key value for us. Peace and accord, intercultural and inter-religious dialogue in our multi-ethnic country has been recognized as a global model. The Kazakhstan’s People’s Assembly has become a unique Eurasian model of intercultural dialogue. Kazakhstan has turned into a center of global inter-religious dialogue. 4. National Economy. Our Role in International Division of Labor. We were the first in the Commonwealth of Independent States to develop a modern market economy based on private property, free competition and openness. Our model is based on a proactive role of the government in attracting foreign capital. We have systematically diversified our economy. I set forward a clear task to accelerate the industrialization program – to help transform the shape of our economy, make it immune to global commodity price fluctuation within the decade. There are recognized rankings which countries use to track their development. By the end of 2012, Kazakhstan will enter the top 50 largest global economies and is already ranked 51st in terms of economic competitiveness. A major criterion for me has always been and will be the level of our people’s living standards. Over the past 15 years the incomes of our citizens have grown 16 fold. The number of people with an income below subsistence level is seven times as low as it was, the number of unemployed is twice as low as it used to be. We have laid the foundation of a social-oriented society. To improve the efficiency of our healthcare system, we have reformed its organization, management and funding. Over the last five years, maternal mortality rate decreased threefold, while the birthrate is 1.5 times as high. We have created equal opportunities for education. Over the last 15 years our education expenditure has grown 9.5 times. We have implemented an Education Development Government Program designed to radically modernize education at all levels, from pre-school to higher education. Thanks to our long-term human capital investment policy we have brought up a talented generation of today’s youth. In world politics, our country is a responsible and reliable partner with an indisputable weight in the international arena. We play an important role in strengthening global security and supporting the international community in its fight against terrorism, extremism, and illicit drug trafficking. Our initiative to convene a Conference on Interaction and Confidence Building Measures in Asia (CICA) has seen CICA grow into an organization with 24 member countries that have a combined population exceeding 3 billion people. CICA is a critical element of Kazakhstan’s security. For the last 2-3 years the Republic of Kazakhstan chaired the Organization for Security and Cooperation in Europe, Shanghai Cooperation Organization, Organization of Islamic Cooperation and Collective Security Treaty Organization. At the Astana Economic Forum we proposed a new dialogue format – G-Global. The initiative has been designed to combine the efforts of all to establish a fair and secure world order. We have a decent contribution to ensuring global energy and food security. Our initiatives to strengthen the nuclear nonproliferation regime are a key contribution to global stability, order and security. Being the first in the world to close nuclear testing site at Semipalatinsk and abandon nuclear weapons, we gained strong international security guarantees from leading nuclear powers – USA, Russia, Great Britain, France and China. We played a key role in establishing a Nuclear Weapon Free Zone in Central Asia and actively support creating similar zones in other regions of the planet, specifically, the Middle East. We firmly believe in the need to take decisive measures to eliminate the nuclear threat. We believe that the Nuclear Nonproliferation Treaty has been and remains the cornerstone of the nonproliferation regime. We consider the early entrance into force of the Comprehensive Nuclear Test Ban Treaty as an important driving force to strengthen the nonproliferation regime. Three years ago, the UN General Assembly supported my suggestion to announce August 29 as the International Day against Nuclear Tests. All of this is a testament to the recognition of Kazakhstan’s role in global politics. Kazakhstan has been recognized as a leader in nuclear nonproliferation and remains a model for other countries. In Strategy Kazakhstan 2030 we planned our country’s future success. We have progressively and persistently moved towards our aims. Even at the height of the 2008-2009 global financial crisis our national economy kept growing. So today I’m honored to be able to summarize that we’ve implemented the outcomes of the 2030 Strategy ahead of schedule in terms of main parameters. For the first time in its history Kazakhstan gained clear, internationally recognized borders. 14,000 km of our state border has been delimited. Kazakhstan safely controls the situation in its Caspian water area. From now on, there is no threat of any territorial disputes to emerge in the future. We haven’t left disputed borders to our descendants. We have created a strong Army capable of defense and an efficient law enforcement system ensuring the security of our individuals, society and state. We have consistently developed civil institutions based on a democratic development model. We’ve set up a Human Rights Ombudsman institution. Whereas in the past we’ve never had a multiparty system, today there are parties representing the entire political spectrum of the country. We have a multiparty Parliament and a majority government. Civil society is being developed. Independent media outlets work in the country. There are over 18,000 non government organizations of various orientations. Nearly 2,500 media outlets function in the country of which approximately, 90% are private. Today Kazakhstan is an important international center of inter-cultural and inter-religious dialogue. Kazakhstan hosted the first four Congresses of the Leaders of World and Traditional Religions. (3) ECONOMIC GROWTH BASED ON OPEN MARKET ECONOMY WITH A HIGH RATE OF FOREIGN INVESTMENT AND DOMESTIC SAVINGS. It was Strategy Kazakhstan 2030 where the focus has been shifted towards economic growth. As a result, within 15 years our national economy grew from 1.7 trillion tenge in 1997 up to 28 trillion tenge in 2011. Kazakhstan’s GDP increased 16 fold. Since 1999 the annual GDP growth equaled 7.6% and outgrew the indicator of advanced developing countries. Our GDP per capita grew seven-fold, from 1,500 USD in 1998 to 12,000 USD in 2012. From the very outset, Kazakhstan has become a top CIS country in terms of its per capita FDI. Today that figure amounts to $9,200 USD. We’ve reached a 12-fold growth of our foreign trade and a 20-fold increase in our industrial output. Over these years our oil output grew three-fold, natural gas output increased five-fold. We’ve channeled those commodity incomes into our National Fund. National Fund became a reliable shield to protect us from possible economic and financial disturbances. This is a safeguard for current and future generations. Carrying out the accelerated industrialization program since 2010, we’ve implemented 397 investment projects worth 1,797 billion tenge and created over 44,000 jobs. 225 projects worth 101.2 billion tenge have been approved over the two years of implementing the “2020 Business Roadmap” program. (4) HEALTH, EDUCATION, AND WELL-BEING OF KAZAKHSTAN’S CITIZENS. It was vital to radically change the lives of our citizens, improve their living conditions. The results of this work are evident. The average monthly salary grew by 9.3 times. The average pension increased ten-fold. The population saw their nominal return grow 16-fold. We are creating necessary conditions to ensure high-quality healthcare services in all regions of the country. In 1999 Healthcare funding equaled 46 billion tenge, in 2011 the figure amounted to 631 billion tenge. We’ve set up a medical cluster including five innovative healthcare facilities – Children’s Rehabilitation Center, Mother and Childhood Center, Neurosurgery Center, Emergency Aid Center and Cardiology Center. We are developing the services of transportable medicine, which now provides the most remote areas of our country with healthcare services at a rapid pace. National screening system helps detect and prevent diseases at their early stage. We’ve introduced free and preferential medication supply. Over the last 15 years Kazakhstan’s population grew from 14 million to almost 17 million. Life expectancy has increased to 70 years. We progressively implement a policy of affordable and high-quality education. The “Balapan” (“chicken”) Program implementation helped us increase the number of children to be covered with early childhood education to 65.4%. We’ve introduced mandatory preschool training. Today this covers 94.7% preschoolers of our country. Since 1997 we have built 942 schools and 758 hospitals across the country. We are developing a network of intellectual schools and world-class vocational colleges. Over the last 12 years the number of college scholarships has increased by 182%. In 1993 we adopted a unique “Bolashak” program which enabled 8,000 gifted young people to study in the world’s top universities. A state-of-the-art, international standard research university has been established in Astana. (5) ENERGY RESOURCES. Kazakhstan’s oil and gas complex remains the powerhouse of our economy, which facilitates growth of other sectors. The share of the oil and gas sector within the country’s GDP has been growing at a steady rate, increasing from 3.7% in 1997 to 14.7% in 2006 and up to 25.8% in 2011. We’ve diversified our export markets and secured our positions, thereby having reduced our dependence on any particular export direction. (6) INFRASTRUCTURE, ESPECIALLY TRANSPORTATION AND COMMUNICATION. Our aim was to develop our infrastructure and we had the strength to do it. Over recent years we have launched a number of major infrastructure projects that includes highways and railroads, pipelines, logistics centers, terminals, airports, train stations and ports. All of these projects have created jobs for many citizens of Kazakhstan and integrated us into the regional and global economic system. Over the last 11 years, the highway development sector received over 1,263 billion tenge and has built and reconstructed over 48,000 km of public highways, as well as 1100 km of railways. We are reviving a New Silk Road by setting up a “Western Europe – Western China” transportation corridor. We opened access to the Gulf and Middle East countries by having built the “Uzen – Turkmenistan border” railroad. Having put together the “Korgas – Zhetygen” railway, we have opened the “eastern gate” paving the way towards the markets of China and all of Asia. We began building the “Zhezkazgan – Beineu” railway. (7) PROFESSIONAL STATE. We had to finally get rid of management traditions of the administrative and command system to create a modern and efficient managers corps. We established a system of screening and promoting human resources where all citizens have equal rights and opportunities that ensure a high professional level and transparency of government activities. We have managed significant change in our public administration shifting its focus towards improving the quality of public services. Thus, our main goals set forth by the 2030 Strategy have been achieved, other goals are under implementation. Today every single one of us can say: “the 2030 Strategy has succeeded, modern Kazakhstan is an established state”. This is a result of our unity, steady hard work and the true realization of our hopes and dreams. The global financial crisis proved that we succeeded as a state and society. Our borders, political system and economic model are no longer subject to fundamental differences and discussion, either domestically or internationally. I focus on ten key challenges for our country and region. To continue our path to success we must take into account each of the challenges to ensure our ongoing development. Over the last 60 years the population of the Earth tripled and will reach nine billion people by 2050. During the same period the world’s GDP has increased 11 fold. The accelerating global course of history always opens up new opportunities for any country, and I’m proud that we have taken full advantage of them. Over the last 20 years we have modernized all areas of our society at a very high rate. We’ve done things that many other countries achieved in 100 or 150 years. However, we still have social groups that have not joined the overall modernization process. There are objective reasons for this: society still contains an imbalance that affects people’s moral and social expectations. We have to eliminate this disparity and provide all social groups with an opportunity to join the modernization process, find their adequate place in the society and take full advantage of the opportunities of the New political course. The global demographic imbalance increases every day. Globally we are an ageing population. In 40 years the number of people above the age of 60 will exceed the number of children under 15. Low birth rates and aging in many countries inevitably cause problems on the labor market, including workforce shortage. Growing demographic imbalance generates new waves of migration and increases social tensions. In Kazakhstan, we face migration pressure in certain regions of the country where illegal immigrants destabilize local labor markets. We also should realize that we are very likely to deal with a reverse process – outflow of our labor force. We are a young nation. The average age of our country is 35 years. This provides us with a great opportunity to capitalize on our human potential and rightfully position ourselves in the world. So today we possess a substantial base to rely upon and grow further. Anyone searching for a job in our country can get employed. Moreover, everyone in Kazakhstan is able to generate a new job and take care of him or herself. That is our great achievement. I am leading you to a universal labor society where the unemployed will not just receive benefits, but will master new occupations, where disabled will be able to actively engage in creative activities and companies will ensure decent working conditions. High rates of global population growth are contributing to the global shortage of food. Today millions of people starve; nearly a million people face constant food shortages. Without revolutionary changes in food production, these figures will only keep growing. This shortage in food presents a great opportunity for Kazakhstan. We have great opportunities in terms of that challenge. We are already among the top grain exporters in the world. We possess vast “green” territories that are capable of producing eco-friendly foodstuffs. To make this great leap forward in farm production we will need a new type of thinking in our state. Global water resources are also under great pressure. Water remains a limited resource, so the fight for acquiring water is already becoming a critical geopolitical factor causing tensions and conflict in the world. Kazakhstan also faces an acute water supply issue. We lack high-quality drinking water. A number of regions face drinking water scarcity. There is a geopolitical aspect to this issue. We are already facing a serious issue of trans-boundary river use. Given the complexity of this problem, we should avoid politicizing it. All developed countries are increasingly investing in alternative and green energy technology. Estimates indicate that by 2050 their usage will help generate up to 50% of the entire energy consumed. The era of hydrocarbon economy is coming to its end. We face the beginning of a new era where human activities will be based not so much on oil and gas, but on renewable energy sources. Having world-class oil and gas reserves, our country will not depart from its policy of reliable strategic partnerships and mutually beneficial international cooperation in the energy sector. Combined with unprecedented population and consumption growth and the finite level of natural resources this will fuel both positive and negative outcomes. It is critical that we reconsider our attitude to our natural wealth. We need to learn how to properly manage it, saving our export revenues and, most importantly, transforming our natural resources into sustainable economic growth that delivers maximum efficiency. Mankind is at the threshold of the Third industrial revolution that will change the very notion of production. Technological discoveries are radically changing the structure and needs of international markets. We now live in a completely different technological reality. One of the greatest problems in the world today is the increasing social instability. Its root cause is social inequality. Today over 200 million people in the world fail to find jobs. Even the European Union faces unemployment – with the highest rates in decades –provoking massive civil unrests. When we look at global employment conditions, we need to admit that the situation in Kazakhstan is in a pretty good shape. We have the lowest unemployment rate we have ever had in our history. Undoubtedly, it’s a great achievement. Yet we cannot rest on our laurels. Kazakhstan and test our durability. Therefore one of the key issues on our agenda is social security and social stability. It is important that we strengthen our social stability. The world is undergoing an acute crisis of outlook and values. We increasingly hear voices heralding the clash of civilizations, the end of history and the failure of multiculturalism. It is critically important that we stay away from this kind of discourse, preserving our time-tested values. We know exactly how we turned what was called our Achilles heel – multi-ethnicity and multi-religious reality – into an advantage. We must learn to live in co-existence of cultures and religions. We must be committed to dialogue between cultures and civilizations. Only in dialogue with other nations our country will be able to succeed and gain influence in the future. In the 21st century Kazakhstan must strengthen its position of a regional leader and become the bridge for dialogue and interaction between East and West. We are all witnessing what is happening today in the world. This is not a new wave of global destabilization, but the continuation of 2007-2009 financial crisis, from which the world economy has not yet recovered. The Global economic system may fail again as soon as 2013-2014, due to a fall in global commodities prices. Such scenario is highly undesirable for Kazakhstan. A recession in the EU and/or USA might lead to reduced demand for commodities in developed countries. Potential default by even one member of the Euro zone might provoke a “domino effect” and bring the safety of Kazakhstan’s international reserves and stability of our export deliveries into question. Therefore we must develop a sound and coordinated policy for all power branches, for the state and society, to be fully prepared for any economic downturn in the international arena. 1. The paradigm and challenges have changed significantly. The frameworks of Strategy 2030 are no longer sufficient for us to meet the new challenges. It is crucial for us to expand our planning horizon, and make another leap forward in our world outlook. Firstly, Kazakhstan is a modern state. Our society has matured. Therefore today’s agenda is different from the one we had during our initial stages of development. The nature and profound change of the transformations across the globe require sustainable long term development. Many countries are already trying to look beyond the 2030s and 2050s. “Managed forecasting” is becoming an important development tool for states in today’s unstable times. Secondly, Strategy Kazakhstan 2030 was developed for the period of formation of our sovereignty. Its basic parameters have been accomplished. Being aware that the situation in the world is changing and this might lead to adjustments, I have instructed a working group to be formed that has tracked our status and worked out a viable strategy under these new economic conditions. Taking into account the working group’s recommendations, I suggest we set a new political course for the nation until 2050 that builds on tasks set by strategy 2030. We must realize clearly that time and conditions will bring their own adjustments to our plans, as they did to 2030 program. 2050 – is not merely a symbolic date. This is a real timeline adopted by the world community. The United Nations developed the Global Forecast on “Future of civilizations” until 2050. Food and Agriculture Organization issued a forecast report until 2050. More and more countries are developing and adopting long term strategies. The same horizon for strategic planning is set in China. 15 years ago, when the Strategy 2030 was adopted, the first generation of citizens born after the independence was just about to go to school. Today they are already working or graduating from universities. In two to three years we will witness the second generation of Independence. Our main goal is to enter the club of top 30 most developed countries of the world. Strategy Kazakhstan 2050 will integrate with our previous strategy and will answer the question: who are we, where are we going and where do we want to be by 2050? I am sure that the young generation is interested in exactly that. Considering all of this, I offer a draft of a new political direction for the nation until 2050. This will be my Address to the nation of Kazakhstan. The competition among developing countries for a place in that club will be intense. The nation must be ready to face changes in the global economic climate, realizing clearly that the desired spot is guaranteed only to those with the strongest economies. • Comprehensive support for entrepreneurship will be a leading force for the national economy. Today I will also outline the primary tasks for 2013 that will ensure the successful start of the New political course 2050. Introduce modern management tools and principles of corporate governance in the public sector. • Exploit the benefits of international divisions of labor. In particular, attract external cadre resource for implementation of some of the tasks of the New course via the outsourcing programs. We must also attract the best foreign specialists in the open market and invite them to work in our country. The use of managers with extensive international experience and knowledge will have a dual effect: we will modernize management of our production and teach our own domestic cadres. This is a new practice for us. • We must adopt new principles of budgeting policy. We must spend only within our means and reduce the deficit as much as possible. It is necessary to build up reserves for a rainy day, ensuring Kazakhstan’s safety in the long run. • The attitude towards budgeting processes must become as careful and thoughtful, as to private investments. In other words, not a single tenge from the budget should be wasted. • The budget of the state must be focused on long-term, productive national projects that include the diversification of the economy and development of infrastructure. • We must introduce a favorable tax regime for those employed in areas of production and new technologies. Whilst this work has begun I would like to see it enhanced. We must conduct a revision of all existing tax preferences and maximize their efficiency. • We must continue the policy on liberalization of the tax administration and on systemizing customs administration. It is necessary to simplify and minimize tax reporting. • Pragmatic reduction of tax supervision must minimize the dialogue between the economic entities and tax authorities. In the next five years everyone needs to move to electronic online reporting. • Starting from 2020 we must introduce the practice of tax credits. In doing this our main goal will be to stimulate investment activity among entrepreneurs. • New tax policy must be socially oriented. From 2015 it will be necessary to develop a set of stimulating measures, including the practice of tax exemptions for companies and citizens who invest their own funds in education and medical insurance for themselves, their families and their employees. • Considering the unfavorable global economic environment we must ensure the safety of the earnings of each of our citizens and maintain a reasonable inflation level with respect to economic growth. This is not simply a macroeconomic issue, this is an issue of social security of the country. This will be the major task for the National Bank and the Government starting from 2013. • Kazakhstan’s banks, in turn, must fulfill their purpose and meet the demand of the private sector for loans. At the same time we must not weaken our control over financial system. It is necessary to help clear banks from problematic loans and start active work on solving funding issues. For that the National Bank and the Government, under coordination from the Presidential Administration, need to develop a conceptually different and new system of monetary policy, aimed at providing economy with necessary monetary resources. • We must constantly monitor the level of public debt and keep it under control. We must reduce the budget deficit relative to GDP from 2.1% in 2013 to 1.5% in 2015. Public debt must remain at a moderate level. This is a crucial task, because only that way we will be able to ensure the stability of our budget and national security in conditions of global instability. • We must strictly control the level of quasi-public sector debt. Infrastructure must expand the possibilities of economic growth in two key ways. Firstly we should integrate the national economy into the global environment, and secondly move towards regions within the country. • It is important to focus attention on exit routes from the country and create transport and logistics facilities outside Kazakhstan. We must think outside the box and create joint ventures in the region and throughout the world - Europe, Asia, America - building ports in countries with direct access to the sea and developing transport and logistics hubs at nodal transit points. In that regard we need to develop a special program “Global infrastructural integration”. • We must develop our transit potential. Today we implement a number of large country-wide infrastructure projects that should lead to doubling the capacity of transit across Kazakhstan by 2020. By 2050 – this figure must increase 10 fold. • Everything must be oriented towards one key goal – promoting exports to world markets where there will be long term demand for our goods and services. • Infrastructure building must also meet the profitability criteria. • Infrastructure should be built only in places where this leads to the development of new businesses and jobs. • Within the country we must create “infrastructure centers”, to ensure coverage of remote regions and places with low population density with vitally important and economically necessary infrastructure facilities. Ahead of that we need to ensure transport infrastructure. • The driver of this economic policy would be the National Fund. • Resources of the National Fund should be directed at long term strategic projects. In 2013 the accrual of money in the National Fund must be continued, but we need to use those funds in a very rational and thoughtful manner. • The state, represented by national companies must stimulate the development of the economy of the future and consider the sectors that will emerge as a result of the Third industrial revolution. Domestic industry must consume the newest composite materials that we must produce in our country. • The state must stimulate development of transit potential in sphere of information technologies. We must ensure that by 2030 at least 2-3% of global information flows go through Kazakhstan. This figure must double by 2050. • It is necessary also to stimulate private companies to invest funds in research and innovation. I want to highlight that whilst the introduction of innovation is important, it is not an end in itself. The country can reap real benefits only where there is demand for our new technologies. In the worst case scenario innovation becomes just a waste of money. • The policy of selective support of specific companies and industries needs to come to an end. We must support only those industries that execute socially important, strategic functions and can demonstrate their effectiveness. • Already now it is necessary to accelerate as much as possible the access for our commodities on international markets, which in the case of a new financial collapse would be destabilized. Our major importers might significantly reduce the purchases of commodities, and prices could fall sharply. Our strategy will allow us to stay ahead of the curve and accumulate resources before potential market destabilization begins. These resources will then help the country overcome the hard period. • Technological revolution changes the structure of commodity consumption. For example, the introduction of composite technologies and new types of concrete - causes depreciation of iron ore and coal reserves. This is another factor for us to accelerate the pace of extraction and delivery to world commodity markets exploiting the current global demand. • Maintaining the status of a big player on hydrocarbon commodity market, we must develop the production of alternative energy sources, actively seeking to introduce technologies using solar and wind power. By 2050 alternative and renewable energy sources must account for at least a half of country’s total energy consumption. • To ensure that regions are interested in attracting investments, it is necessary to ban the moratorium on subsurface use permits. • We must move from simple delivery of commodities to forming partnerships in area of energy resource processing and exchange of new technologies. By 2025 we must fully satisfy our internal market with fuels and lubricants in accordance with new ecological standards. • We must attract investors to our country only on the conditions of transfer of modern technology for extraction and processing. We must allow investors to extract and use our raw materials only in exchange for creating new production facilities on the territory of our country. • Kazakhstan must become the regional magnet for investment. Our country must become the most attractive place in Eurasia for Investments and technology transfer. This is crucially important. To do this we must demonstrate to investors our advantages. • All extracting enterprises must introduce only ecologically harmless production techniques. In most competitive sectors we need to develop strategies for domestic producers on forming new market niches. This will allow Kazakhstan to avoid the potential destructive effects from deindustrialization, especially considering the perspectives of entering the WTO. Domestic goods must become more competitive. January 1st 2012 marked the start of the single economic area between Kazakhstan, Russia and Belarus. This is a huge market, with combined GDP of 2 trillion US dollars and 170 million consumers forcing our business to compete. Our political sovereignty remains guaranteed. • We must develop new industries with an emphasis on expanding export oriented non-energy sector. • We must focus the state program of forced innovative industrialization on importing industrial capacity and exchanging technology. For that we need a sub-program for creating and developing joint international companies and beneficial partnerships. • By 2030 Kazakhstan must expand its niche on the world market for space services and bring to fruition a number of current projects. These projects include the assembly and testing facility of spacecrafts in Astana, a remote sensing space system, the national space monitoring system and ground infrastructure and our high-precision satellite navigation system. • We need to continue the development of our two leading innovation clusters – Nazarbayev University and the Park of innovation technologies. We need to make an accelerated transition towards low carbon economy. To do this I suggest we create an international organization “Green Bridge” in 2013, and also launch the Green4 project based on four satellite cities around Almaty. • Increase sowing area. I note that not all countries are able to do so. • Ensure significant rise in crop yield, primarily by introducing new technologies. • Create nationally competitive brands with a focus on eco-friendliness. • Change the culture of farming and revive our tradition of animal breeding using the latest techniques and achievements in science, technology and management. • Determine which products we are going to produce in large quantities to win major export markets. As a result of adopting these measures the share of agriculture in GDP must increase 5 fold by 2050. • Adopt a new development program for agricultural sector of the country until 2020. • Set out the system of legal and economic incentives for creating medium and large agricultural enterprises, oriented on applying new agro technologies. • Introduce an increased tax rate on those lands that remain undeveloped for longer than certain period since they were provided. • Carefully examine the best practices in addressing water supply issues in other countries, such as Australia, and modify them to our conditions. • Introduce the most advanced extraction technology and prudent use of underground water reserves that are abundant in our country. • To move to modern water-saving agricultural technologies. Domestic entrepreneurship is a driving force in the new economic policy. The share of small and medium enterprises in the economy must double by 2030. Firstly, we must create conditions that enable people to develop a business and become a true participant of ongoing economic transformation in the country, rather than wait and expect the state to resolve all the problems. It is important to raise the general level of business culture and stimulate entrepreneurial initiative. • Encourage the pursuit of small and medium enterprises for unification and cooperation, and create the system that would support and stimulate that. • Develop the internal market by encouraging local business initiatives and ensuring minimal, but tight regulation. • Consider establishing new, more rigorous system of accountability for government officials, who create artificial barriers for businesses. • Improve support mechanisms for domestic producers and take all the necessary actions for protection and promotion of their interests, considering the new reality, including our participation in Eurasian Economic Space and upcoming membership in the WTO. We need to create the necessary conditions and prerequisites to enable individual entrepreneurs and small business to grown into medium sized businesses. Unfortunately, the current tax applied to SMEs prevents their growth and development. That is why by the end of 2013 the Government needs to introduce amendments to legislation, aimed at the clear separation of such terms as micro, small, medium and large business. At the same time, we must not increase the burden on small and medium business segments. 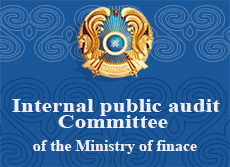 I instruct the Government to ban all the permits and licenses that have no direct influence on security of Kazakhstan’s citizens and replace them with notifications by the end of first half of 2013.
control of the quality of their goods and services. We need to develop a new system for the protection of consumer rights, exempting them from multilevel system of judicial decision making. Secondly, to build a robust dialogue on the principles of public private partnership, it is necessary to continue the process of business consolidation, which will enable wide coverage and engagement of all entrepreneurs in implementation of this new strategy. International experience demonstrates that consolidation of entrepreneurs within Chambers is one of the important factors of economy’s efficiency. The Government together with “Atameken” Union has worked out a conceptual model of compulsory membership in the National Chamber of Entrepreneurs. This model will ensure delegation of large powers and functions from state bodies to the newly created National Chamber of Entrepreneurs in such areas as foreign economic activity, vocational and technical education and , comprehensive service support for small business, especially in rural areas and single industry towns. The National Chamber of Entrepreneurs will become a reliable and competent partner to the Government. In this regard I instruct the Government to develop the appropriate draft law and submit it to the Parliament in the first quarter of the year.